A bolt tensioner is a hydraulic hollow cylinder with an internally threaded piston which is attached into a bolt. 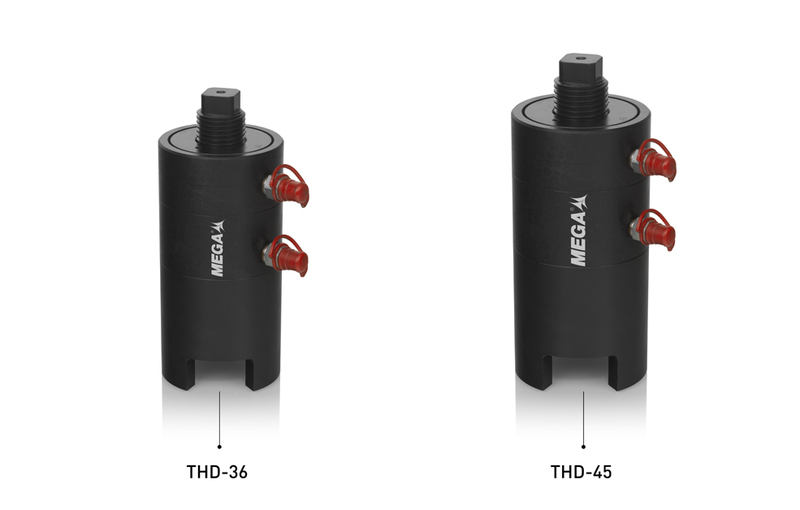 The THD bolt tensioners feature same characteristics as those of the THS series, although they have a double cylinder for use where space is tight. The application of a hydraulic force to the cylinder stretches the bolt. Working pressure: 1.500 kg/cm2/21.430 psi. The supporting ring of the bolt tensioner has an opening for an easier tightening operation.